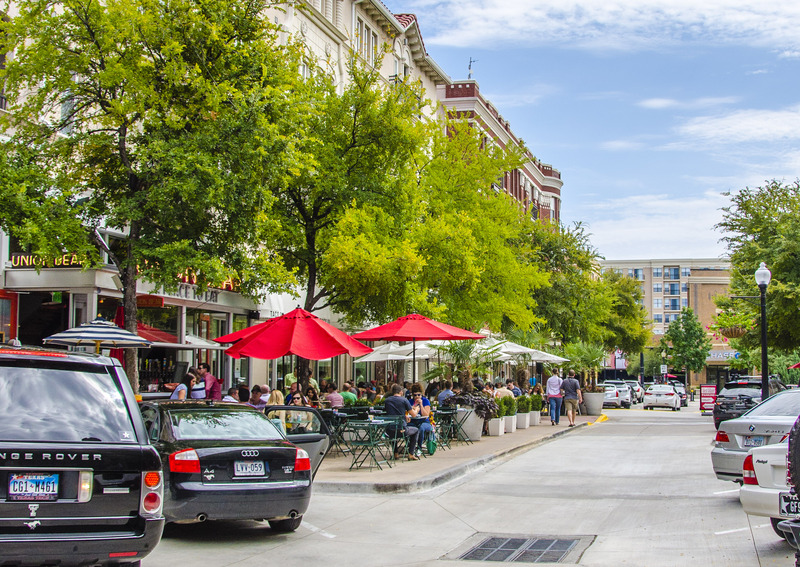 3 Insider Tips to Finding Your PERFECT Uptown Dallas Apartments Fit. Hello, and welcome to Uptown Dallas! Uptown Dallas is the number one most desired area for single professionals in the Dallas/Fort Worth area. It’s a perfect place to enjoy a walkable, convenient and FUN lifestyle for your new life here and make some amazing friends as well. I want to share with you 3 insider tips to help make your Uptown Dallas apartments search easier and get a better value on rent. And, with around 50 apartment communities in the area, you have a lot to choose from! So, let’s get started! Work from home and need to connect with people during the day? Locate near The West Village Shopping Center – This 2 block shopping area in the North has a huge amount of “day” experiences, including lunch places, shops, boutiques, coffee, dinner and more. Excited most about the night life? Then you might live in the south part of Uptown along McKinney Avenue close to downtown. The South part of Uptown has a huge concentration of night life and pubs. Is “working out” your thing? Then, locate as close as possible to the Katy Trail. This mega popular hike/bike trail is on the west border of Uptown, full of trees and nature. And, it’s a great social scene. Ok, now here’s the great news. Even though you might choose one of these things as your “main thing” of Uptown, you can still get quickly to any of the others without a car. Just use the FREE Uptown M-Line Trolley that runs every day, including later on Friday and Saturday. And here’s a hint: The M-Line runs late on Friday and Saturday night…can you say awesome free taxi? Insider Tip 2: Do your Research IN ADVANCE! Also, map out where some possible apartment choices and notice what else is around there. Google offers terrific walking calculations that will tell you how close it will be to your key desired attractions, like the Katy Trail, TheWest Village, etc. Also, make sure to map out how close a Trolley Stop is to where you are thinking about. Your goal is to narrow down to about 2 to 4 apartment communities (not just one). Look at current prices and note what they are and how they compare to each other. Then, you are ready to TIME it just right and get a great value…see next tip! Insider Tip 3: Timing is Everything! If you had to know one thing to get the best value on your monthly rent here, I would tell you 2 things that work together: TIMING IS EVERYTHING! Renting using the right timing can help lower your rent by 10% to 20%. For a $2,000 lease, that is saving about $2.5K to $5K a year! Let me tell you how to do just that! TIMING IS EVERYTHING: Most apartment availability starts appearing about 75 to 90 days in advance of when you want to move, roughly. So, FIRST determine your approximate move in date. SECOND, work back about 75-90 days in advance to get your OPTIMAL DATE. That OPTIMAL DATE is going to when the most available apartments for you. It will also be when you will typically have the lowest prices! It would take another article to explain why, but this is how it works. APPLY IN ADVANCE: Next, after getting the availability you want, your next step is to APPLY ONLINE. Here in Uptown Dallas, you can actually apply for an apartment well in advance of your move in date. For example, you can apply in MARCH for a JUNE move in. When you apply, you put the apartment ON HOLD. And, even better: you pay typically minimal fees (a few hundred dollars – NOT 2 months’ rent like in other states) to apply. When you apply in advance, it reserves your apartments and it locks your price down. And, even better, apartments often DO NOT require you to sign a lease in advance. So, for a few hundred dollars typically, you have a terrific apartment waiting for you. You can then finish up whatever you need to, take your time, and then come and tour your new place when you are ready, without a time crunch. Then, sign your lease after you have seen your place. Uptown Dallas is an amazing place to start your Dallas adventure! It is by far the most popular destination for professionals in the Uptown area, with a high concentration of single professionals. Use my insider tips to find your best fit from the many Uptown Dallas apartments …and save big. Looking forward to seeing you here in Uptown Dallas soon! Uptown101.com is a professional and 100% free residential locator service that focuses on Uptown Dallas. Cantabria at Turtle Creek Apartments in Uptown DallasWhy Texas A&M Aggie Grads LOVE Uptown Dallas!